New Limited Release White Sangria Now Available! Spring ahead to summer with our in store only promotion while supplies last. 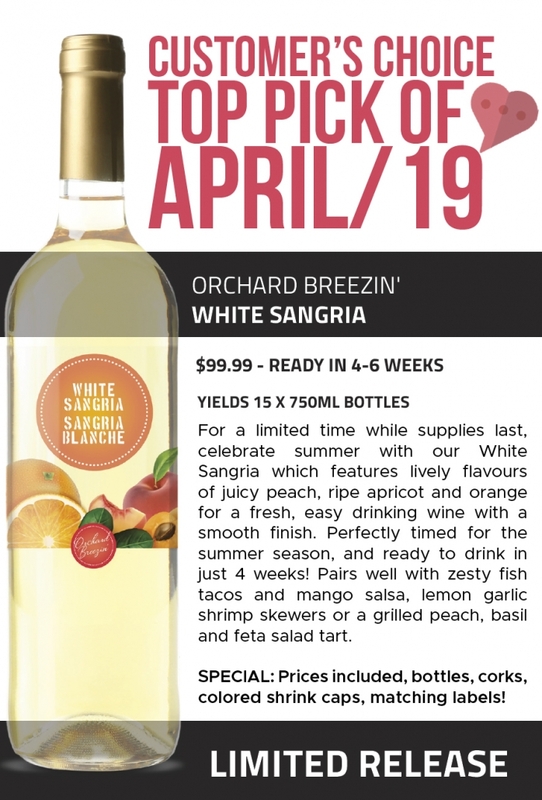 Ready in 4-6 weeks, for only $99.99 – get 15 bottles of our limited release White Sangria in time for summer, comes complete with bottles (usually sold separately), corks, colored shrink caps (of the customer choosing), and matching bottle labels! See store for more details! http://www.carafemeadowvale.com/wp-content/uploads/2019/04/WEB_aerial-view-of-road-highway-and-railway-going-DENQ4KC.jpg 1439 1920 cwag http://www.carafemeadowvale.com/wp-content/uploads/2018/06/003-Horizontal-Web-Logo.png cwag2019-04-05 21:51:252019-04-05 21:51:26New Limited Release White Sangria Now Available!